Elizabeth "Fay" (Lucas) Olds, age 84, of Vevay, Indiana, entered this life on December 16, 1933, on Greenbriar Ridge in Jefferson County, Indiana. She was the daughter of the late, Charlie G. and America Lee (Lewis) Lucas. Fay was raised on Greenbriar Ridge in Madison, Indiana and was a 1951 graduate of Central High School. 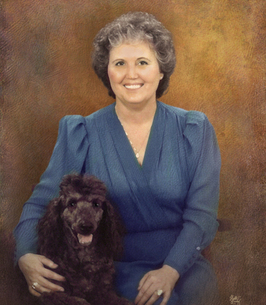 Fay was employed for Dorman Products in Warsaw, Kentucky, retiring after 9 years of service. She served as honorary secretary of the state and as county chairman and vice chairman for the 9th district republican party. Fay was employed as the branch manager for the Switzerland County License Branch for 17 years. She served as administrative assistant to the district engineer at the Seymour District of Indiana Department of Transportation, for eight years. Fay faithfully took care of Leah and Janet Buchanan for several years. On June 16, 1960, Fay joined the Vevay Tri Kappa, where she was very active for over 50 years. She held nearly every office in the Gamma Chi Chapter, which included serving as the chapter President on several occasions. She was a faithful member of the Ruter Chapel United Methodist Church in Vevay, Indiana. She was awarded The Sagamore of the Wabash on May 20, 1975. Fay proudly served as a delegate from Indiana at the convention in Detroit, Michigan and the 1984 Republican National Convention in Dallas, Texas. Fay enjoyed playing bonco with the monthly group and was a wonderful homemaker and also enjoyed interior decorating, cooking, IU basketball and spending time with her family. Fay passed away at 7:51 p.m., Tuesday, November 13, 2018, at the River Terrace Health Campus in Madison, Indiana. Fay will be deeply missed by her son, Bruce E. Olds and his companion: Peggy Jones of Sanders, KY; her daughter, Deborah S. Hackman and her husband: Jim of Melissa, TX; her grandchildren, Judd Hackman of Melissa, TX, Brett Hackman and his wife: Kristen of Melissa, TX, Kelsey Olds of Madison, IN and Mallory Olds of Indianapolis, IN; her great-grandchildren, Coy Hackman, Finley Hackman and Harper Hackman; her sisters-in-law and brothers-in-laws, Betty Lucas of Madison, IN, Mary Lucas of Moorefield, IN, Becky Lucas of Grapevine, TX, Bud Lawler of Ft. Worth, TX and Ellen Lucas of Madison, IN; her special niece, Barb Lucas of Moorefield, IN and her several nieces and nephews. She was preceded in death by her parents, Charlie G. Lucas, died December 25, 1939 and America Lee (Lewis) Lucas, died September 4, 1987; her brothers, Charles Lucas, died November 4, 1994, George Lucas, died March 29, 2001, Albert Lucas, died November 10, 1993, Walker D. Lucas, died February 23, 2002, Bruce Lucas, John Ervin Lucas, died December 24, 2015 and Willie C. Lucas, died October 25, 2016; her sisters, Pauline Lucas, died April 12, 1982, Frances Jones, died September 25, 1988, Ann Lucas, died December 16, 1987 and Carolyn Lawler and her sisters-in-law, Dorothy Louise (Andrew) Lucas, died November 17, 1968 and Ruth Ann Lucas, April 19, 1961. Funeral services will be conducted Saturday, November 17, 2018, at 11:00 a.m., by Pastor Sandy Marlin, at the Haskell & Morrison Funeral Home, 208 Ferry Street Vevay, Indiana 47043. Interment will follow in the Brooksburg Cemetery, Madison, Indiana. Friends may call 4:00 p.m. - 7:00 p.m., Friday, November 16, 2018, at the Haskell & Morrison Funeral Home, 208 Ferry Street Vevay, Indiana 47043. The Vevay Tri Kappa will be conducting services at 7:00 p.m., Friday, November 16, 2018, at the funeral home. 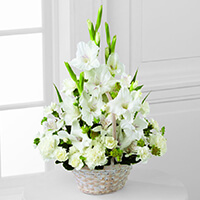 To send flowers to the family of Elizabeth "Fay" Olds (Lucas), please visit our Heartfelt Sympathies Store. Debbie and Bruce, our deepest sympathy to you and all your families. Your Mom was a very nice lady. With deepest sympathy & love. Keeping all of you in our prayers. My sympathies go out to Fay’s family at this time of loss. Always appreciated Fay working with her in Republican state activities. Prays go out for all for healing and strength. Debbie and Bruce, Very sorry to hear of the passing of your mother. She was special. My condolences to you and your families. Thoughts & Prayers being sent! Bruce and Debbie, my heartfelt condolences for both of you. Fay was a fine lady.